JULY 19, 2012 — It’s a positive, but merely symbolic step that Steve Garban has resigned from the Penn State Board of Trustees. His actions and inactions have caused irreparable harm. 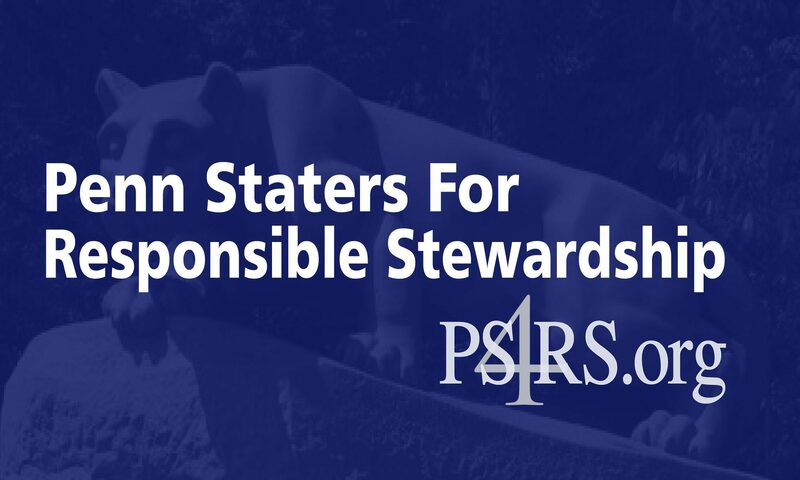 The members of Penn Staters for Responsible Stewardship are adamant in our demand that the rest of the board must follow suit – including the emeritus trustees. If the University is basing its actions on the findings of the Freeh Report, then it’s important to recognize that Freeh didn’t single out just Garban for gross negligence and lack of oversight. The report called out the ENTIRE Board of Trustees — all 28 of whom were at the helm in November and before. One resignation is symbolic change; 28 resignations is serious change. And these circumstances call for serious change to steer the University and all of its stakeholders toward a new day. Can you please stop sending me old posts? I have probably received 15 today. Thank you for bringing this to our attention. We’ll have our developer look at it. We apologize for the inconvenience.